A special rubber ferrule with a square aperture to fit on the square points of selected Classic Canes seat sticks (refs 3710BN, 3710BK, 3711, 3712 and 3715). 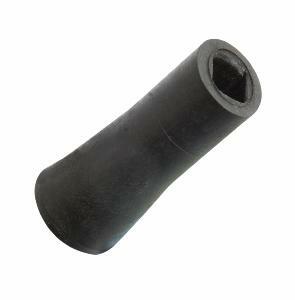 The rubber ferrule is for use when walking with the seat stick. Users must be aware that if they then sit on the seat stick, increasing greatly the pressure on the ferrule from the point of the seat stick, the lifespan of the ferrule will be reduced accordingly.